Rollie Waters is an agent with SHADE. That acronym, used by an government that so dearly loves acronyms, stands for the Shared Defense Executive. It is run by Major Hansel and is a subset of the much larger Defense Intelligence Agency. It was formed from personnel of all the services to "deal with national security issues that involve the military" which, according to Hansel, means that Hansel was empowered to "stick my nose in where I want to". Waters had no knowledge of this new department and would not have thought about it at all if he had until one of the first matters Hansel chose to investigate brought him and his people up close and personal with Waters and that made Waters quite aware. Before the awareness, though, Waters had to survive a fair number of people wanting him very dead. When the trouble began, Waters was a lieutenant in the U.S. Marine Corps and he enjoyed a specialty, besides being frequently insubordinate, that made him unique and quite valuable. He could go undercover almost anywhere and blend in. Most of the jobs he was given as such were ferreting out hidden enemies, both foreign and domestic, which made him something like a cop, an irony that would have amused Waters if he had an opportunity to consider it. "My father didn't teach me much except how to lie, cheat, and steal, and then lie, lie, lie some more." His father was Dan Waters, a gifted and rather twisted con man who might have ranked among the best in the business if such rankings existed and those involved did not far prefer to not get noticed. Dan did not want recognition. He wanted to steal whatever you had. He took immense pride in the fact that everything he had, he stole. Over the years of Rollie Waters' early life, Dan would haul the young boy to various parts of the country, pull off a scam of some sort, and then hightail it out of the area. Sometimes he had time to take the boy with him. Often he did not. Dan was seldom apologetic about the abandoning and always triumphant when months later he showed up again to collect his son. In his way, he had to feel he was helping the boy become self-sufficient. That "training" molded Rollie Waters in many ways. The first is that he is not at all like his father - he is basically honest and a good man. The second is that he is terrific at sniffing out the con wherever it is being played and as Waters is constantly finding, just about everybody is pulling their own con here and there. Most the time it is innocuous and would make Waters smile. Sometimes not so much. Still, the lessons that Dan imparted, either through direct instruction or personal example or abandonment were vital to making the now grown and very self-sufficient Waters able to take care of himself and would make him a very good agent. Pulled from his latest Marine undercover assignment and thrown into a brig, Rollie Waters had to know it was related to his con artist father. Millions of dollars are missing, his father the chief suspect, and Waters is forced to go hunting his parent while avoiding several others who want it all. Now an official agent with the elite military group, SHADE, Rollie Waters goes on the hunt for who shipped millions of stolen Saddam money home in the coffins of slain servicemen and who want that loot to fund a new nation. When I first learned of this series, the thing that grabbed my attention was that he was a con man. That intrigued me. It was, of course, wrong because Waters did not pull con jobs, except as part of his undercover work. He was just extremely well trained to pull them. Daddy Dan made sure he was good at it, not that Dan really cared or actually set out to train him. The training was a by-product. Still the concept sounded fun. I wanted to check it out. Once I did, I was hooked and I stayed hooked throughout both books (hopefully there may be more). One of the things that this author does incredibly well is tell small storied from Waters' past that come out of the blue, take a page or two for the telling, and then go away forever but do a terrific job of explaining why Waters makes a particular decision or, more often, sees a trouble forming and figures out a way to survive. There is no warning that a flashback is about to happen and there never needs to be; they just happen. One minute he may be talking with a bully in a bar about to get his nose punched and the next the reader is put back in time to a situation that often seems totally unrelated and then when it is told you see why Waters is remembering it and how that memory helps him keep from getting pummeled. And it is done so smoothly and expertly you almost look forward to the momentary interruptions. It is also through these rememberances that we learn so much about Waters' early life and the many words of "wisdom" that Dan would impart and through them we learn that Dan was a totally self-centered jerk who thought of Dan first and last and about his son, who really wasn't even named Rollie but didn't know it, last if often at all. The two recorded adventures, really just two parts of one longer one, are more of a police/detective drama than a spy novel but since they involve more than a little international intrigue and deal with bad guys home and abroad, they belong in this group. Even more importantly, they are just really, really good reads. 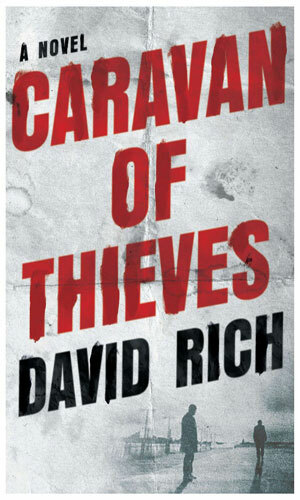 Caravan of Thieves was a good read but not as thrilling as Jason Matthews. It was also a quick read. First person point of view helps to make the novel interesting. I expected some discussion or appearance of more "cons" but an understanding of how cons work with certain people made up for it. 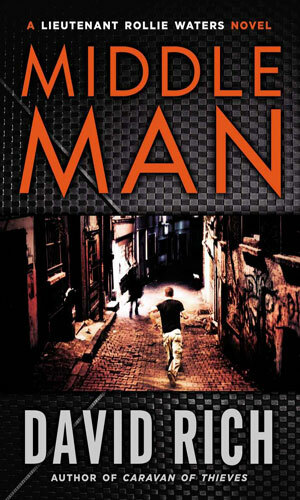 This novel was suggested to me by this site and I was appealed by the con-man theme. I was not disappointed.